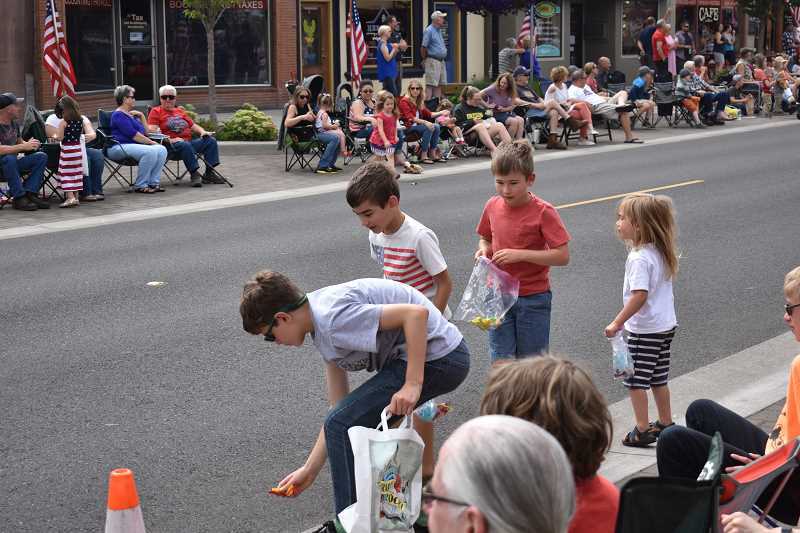 Last Wednesday, a patriotic group of Estacada residents cheerfully marched through the streets for the town's annual Fourth of July parade. 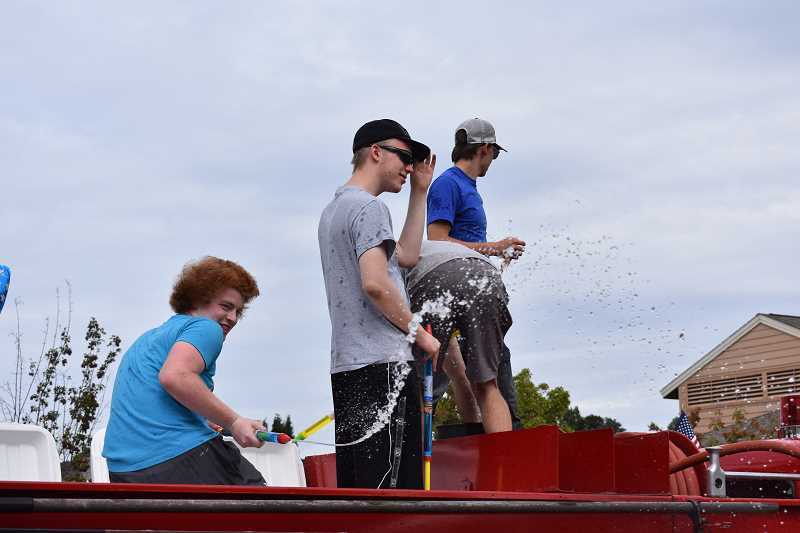 Brightly decorated floats, Boy Scouts and Girl Scouts, animals like llamas and horses, classic cars and logging trucks were just a few of the elements involved. 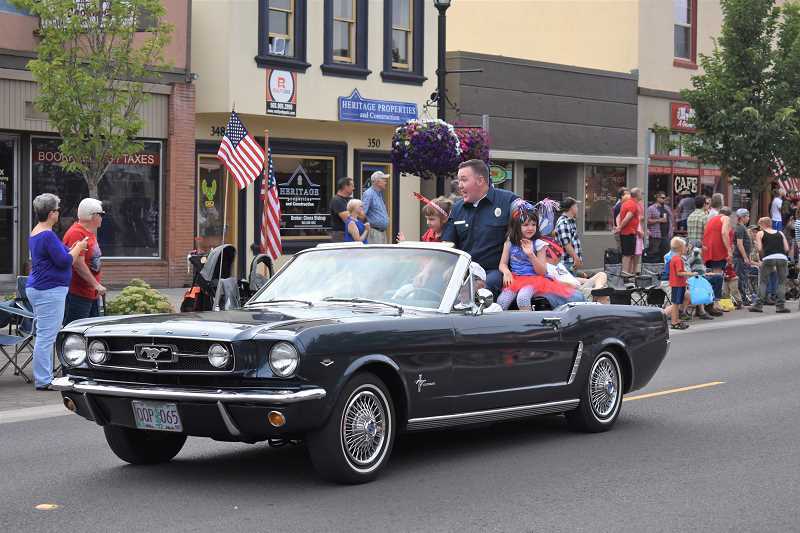 The event's grand marshal was Damon Faust of the Estacada Rural Fire District, who is also the American Legion's National Firefighter of the Year. 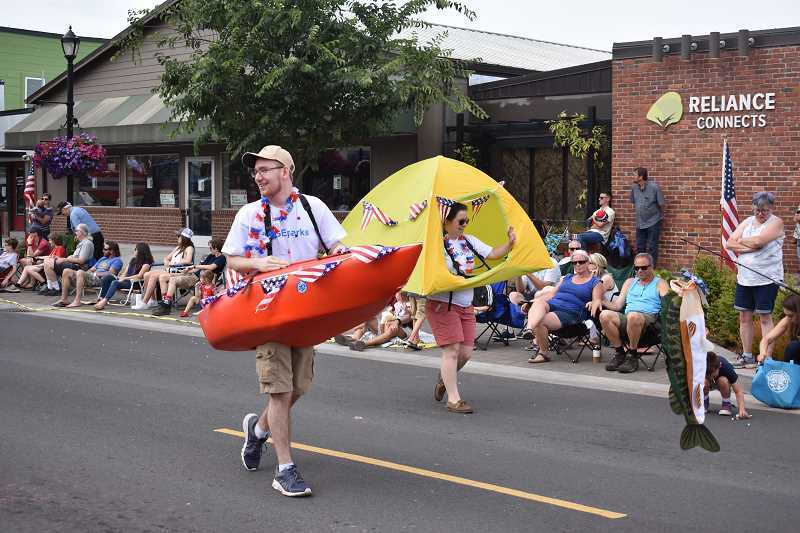 The theme of the parade, organized by the Downtown Estacada Commission, was "Red, White and Blue," and participants gathered at Estacada High School before jovially journeying downtown.